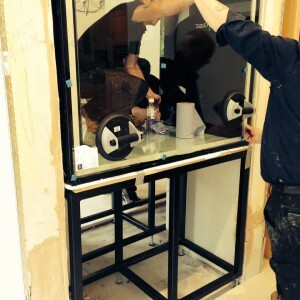 Constructed from the finest quality Pilkingtons float glass or acrylic, our aquariums are supplied to the highest standard. Utilising the latest aquarium manufacture techniques, our tanks guarantee years of viewing pleasure. Float glass – widely used for its strength and cost effectiveness. 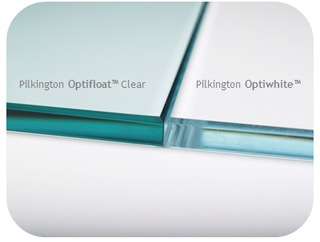 Optiwhite glass – a low iron material which removes the green tint as seen in standard float glass. Mainly utilised on fish tanks of 12mm thick and over. 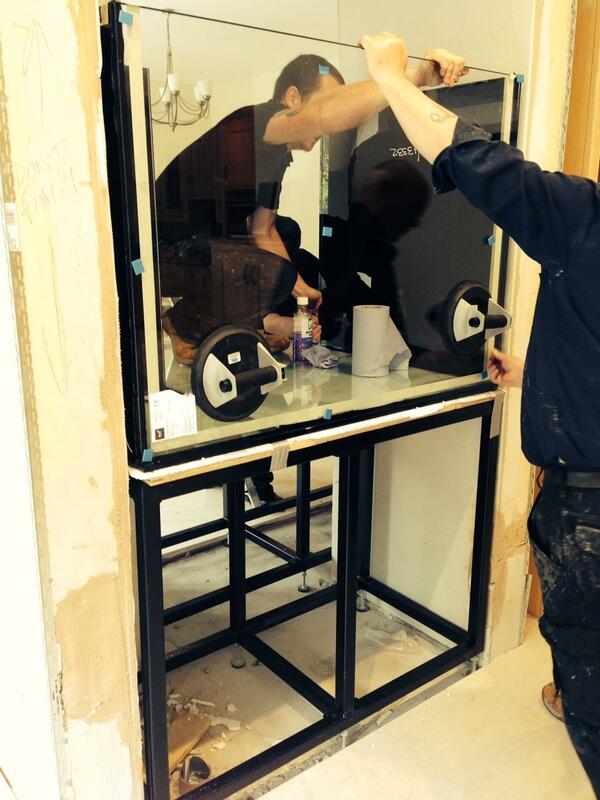 Toughened glass – rarely used but available for specific purposes where safety is a concern. Laminated glass – 2 glass panes laminated together to create a sandwiched panel. For use on larger tank projects or to provide a sacrificial pane of glass. Fire proof glass – to meet requirements for safety we supply this glass in various fire proof ratings. Acrylic – a very strong and transparent material. Utilised on large aquarium projects and in public environments. Acrylic fish tanks are lighter in weight than there glass equivalent. Additionally, we offer bespoke tank options including, coloured panes, weir overflows, hole drilling service and a choice of silicone colour. 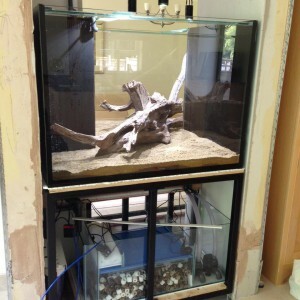 Do you require a free standing aquarium? For this purpose we can supply a cladded cabinet support, finished in a huge variety of colours and effects. We do not supply chip board cabinets. Instead, our cabinets are built around a steel frame with adjustable feet. This provides a stable platform for the aquarium. Following initial installation, the tank is clad in a wide choice of panels to give a seamless finish. We are specialists of room divider and built in wall aquariums. 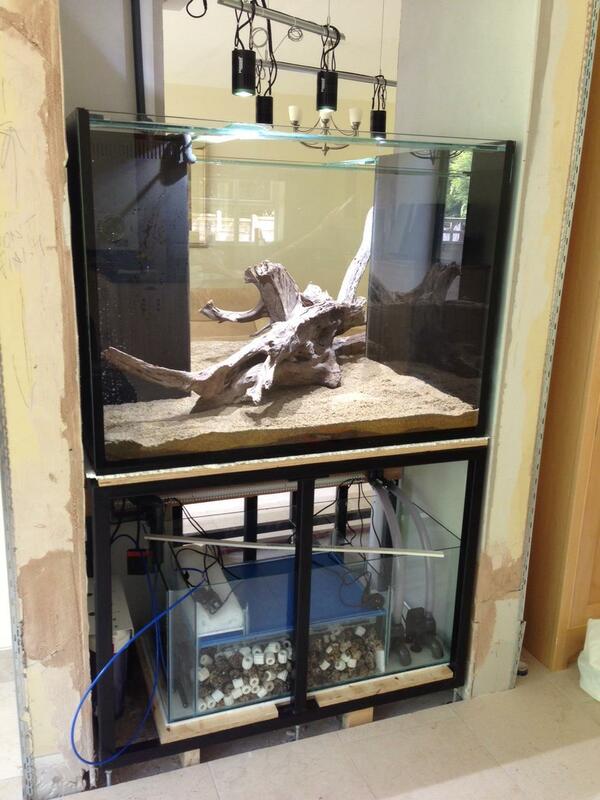 Our wall aquariums are mounted on a metal frame support system. Therefore, providing a high level of tank stability. The metal frame can then be finished with either plasterboard, high gloss panels or solid wood depending upon your preference. In wall fish tanks are becoming increasingly popular as they offer benefits including bringing light into a room and not taking up any floor space. 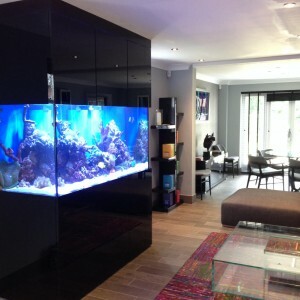 Always incorporated within the bespoke aquarium design is the very latest filtration techniques. Thus, ensuring a clean look to the fish tank with no equipment on show which may otherwise spoil the finished tank. Aquarium equipment is now so advanced we are able to supply a powerful filter system with a small footprint. Pumps now use DC technology which makes them very efficient and nearly silent running.